Tim Clinton, Ed.D., LPC, LMFT, is President of the nearly 50,000-member American Association of Christian Counselors (AACC), the largest and most diverse Christian counseling association in the world. He is Professor of Counseling and Pastoral Care and Executive Director of the James C. Dobson Center for Child Development, Marriage and Family Studies at Liberty University. 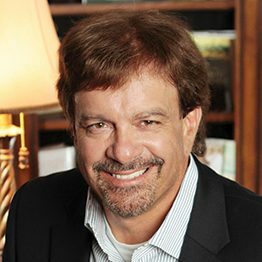 Dr. Clinton is licensed in Virginia as both a Professional Counselor and Marriage and Family Therapist and spends much of his time working with Christian leaders and elite professional athletes. Recognized as a world leader in faith and mental health issues, Dr. Clinton has authored nearly 30 books, including Breakthrough: When to Give In, When to Push Back. He is founder of the national Extraordinary Women Conferences, Ignite Men’s Conferences, and the biennial AACC World Conference (which hosts 7,000 leaders representing all 50 states and nearly 50 countries) at the Opryland Hotel in Nashville, Tennessee. Dr. Clinton is also founder of Light University—a global leader in certificate, diploma, and mental health continuing education—enrolling nearly 300,000 students since its inception. He was recently named to the executive leadership team and is a frequent co-host for Dr. James Dobson’s Family Talk radio program, heard on nearly 1,400 radio outlets daily. Additionally, Dr. Clinton hosts Life, Love and Family, a daily radio program that is heard on the American Family Radio (AFR) and Truth Radio networks. Recently, Dr. Clinton was appointed as a member of, and Secretary for, the President’s (POTUS) Faith Advisory Board Executive Council and is also on the leadership committee for the President’s National Prayer Breakfast. He has been married for 37 years to his wife, Julie, and together they have two children—Megan and Zach.